This delightful home on the slopes of Lion's Head offers the visitor superb, unobstructed views of Table Mountain, Cape Town city and harbour. 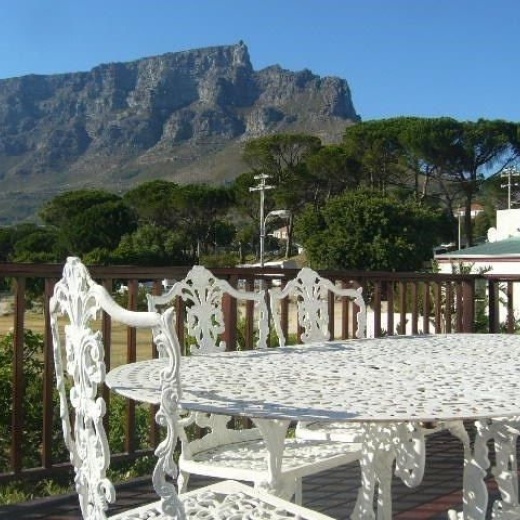 Camden cottage is only minutes away from the popular Waterfront, Sea Point, Camps Bay and Table Mountain Cable Car. Walking distance from many excellent restaurants, shops and galleries, its also only minutes away from the City Bus Service - a real boon to residents and holiday makers alike. Two downstairs bedrooms with Queen size beds interlead into a marble bathroom with views of Table Mountain from the Victorian bath. A sweeping staircase leads up to a mezzanine area with double bed, guest toilet/shower, and entertainment deck. The galley kitchen is equipped with usual electrical appliances, plus dishwasher, washing machine and tumble dryer.Uncapped ADSL, air-conditioning, security and off-street parking for one car available. DSTV is an optional extra.